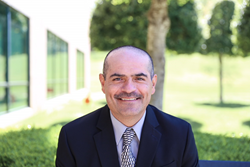 Zonar, the leader in smart fleet management technology, announced today that Ron Cordova has joined its compliance team. With nearly 25 years experience in commercial vehical law enforcement and safety Cordova joins a highly accomplished group of industry veterans dedicated to ensuring Zonar and its customers adhere to the Department of Transportation regulations and have the best guidance available for keeping their fleets safe. Cordova spent more than two decades with the New Mexico Department of Public Safety, Motor Transportation Police where he worked up to the rank of Major and managed parts of the Commercial Vehicle Enforcement Unit prior to retiring from the Curry County Sheriff’s Department. Cordova also served as the Commercial Vehicle Information Systems and Networks (CVISN) Program Manager for New Mexico. In addition to his roles in law enforcement, Cordova served in many different capacities with the Commercial Vehicle Safety Alliance (CVSA) including as President in 2005-2006. Cordova joins Zonar as its newest compliance manager. In this role he will apply his extensive law enforcement and commercial trucking experience and technical skills to drive execution of business initiatives and ensure that Zonar solutions meet the required regulations and address customer needs. Cordova will manage intra-department relationships and assist in defining, testing, and supporting products while being actively involved with relevant industry associations. Founded in 2001, Zonar has pioneered smart fleet management solutions throughout vocational, pupil, mass transit and commercial trucking industries. Zonar helps fleets of all sizes maximize the use of their assets with solutions dedicated to improving compliance, efficiency, maintenance, ridership visibility, safety and tracking. Cloud-based services with open API's drive Zonar's smart fleet solutions by making it easy for fleet owners and managers to stay connected to their fleets and drivers and operators to dispatch. Headquartered in Seattle and majority-owned by technology company Continental, Zonar also has a Technology Development Center in downtown Seattle, a regional office in Cincinnati, and a distribution center outside of Atlanta. For more information about Zonar, go to http://www.zonarsystems.com.